This webinar will be going into some additional specifics regarding what is or isn't to be perceived and fact in our modern world. Our original conversation started during another webinar called, "Stop Being Chattel", whereas this webinar changes the conversation while addressing the research and discovery of assumed name certificates. Before going further – understand that all information presented during this webinar is that of the presenter/author's personal opinions and is intended for entertainment and educational purposes only. Furthermore, OwnWP content provides generic information only and is in no way a substitute for a qualified legal opinion. 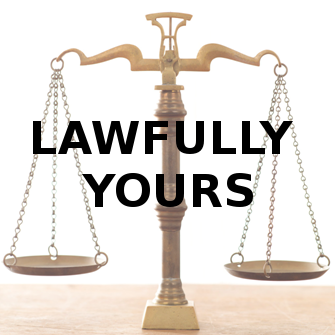 The presenter/author (and/or OwnWP) is not a licensed attorney nor the officer of any court. The presenter/author (and/or OwnWP) does not accept any liability for any use or misuse of the information provided in the slides or any subsequent presentation/post thereof. We'll begin today with a few (OK, maybe more than just a few to overemphasize why there is so much confusion) legal definitions. Then, we will separate the Man/Woman from the "Person" – you'll understand why you may not really be who you think you are. Next, we'll discuss the Assumed Name Certificate (ANC) process and examples. And finally, we'll answer any remaining questions. We're pretty sure we won't be able to answer all of them as this is a rather different approach to viewing our modern world. So, everything comes down to Commerce. Assuming you can agree to this concept then knowing what the words mean is important if you want to profit. Think of it like a game – Monopoly. If you want to win the game, you need to learn how to play. The words of the legal system in the United States is intentionally confusing. It’s harder to learn how to play that way. Note: Hugh resides in Kansas, USA. The details of this particular webinar applies to his personal application of the statutes. Statutes are laws enacted by the legislature. The Kansas Statutes Annotated (KSA.) is published by the Kansas Revisor of Statutes, but distributed by the Kansas Secretary of State’s office. KSA 40-3801(n) “Person” means an individual or a business entity. KSA 75-7b01(g) “Person” means an individual or organization. KSA 44-401(d) “Person” means any individual, association, partnership or corporation. KSA 58-651(g) “Person” means an adult individual, corporation or other legal entity. KSA 44-765(a)(1) “Driver” means an individual who operates a motor vehicle which is leased to a licensed motor carrier pursuant to a lease agreement. KSA 44-765(a)(7) “Person” means any individual, partnership, corporation, limited liability company or any other business entity. KSA 8-1,100(g) “person” means an individual, firm, partnership, association, corporation, estate or trust. KSA 79-1128(p) “Person” means an individual, estate, trust, partnership, corporation and any other business entity. KSA 17-49a01(b) “Person” means an individual, a corporation, a partnership, an association, trust or an organization. KSA 21-5111(t) “Person” means an individual, public or private corporation, government, partnership, or unincorporated association. KSA 60-5302(f) “Person” means any legal person or entity under the laws of the state of Kansas and the laws of the United States. KSA 56-1a101(k) “Person” means a natural person, partnership, domestic or foreign limited partnership, trust, estate, association, corporation, custodian, nominee or any other individual or entity in its own or any representative capacity. KSA 23-37,102(13) “Person” means an individual, corporation, business trust, estate, trust, partnership, limited liability company, association, joint venture, government; governmental subdivision, agency, or instrumentality; public corporation; or any other legal or commercial entity. KSA 60-228a(b)(3) “Person” means an individual, corporation, business trust, estate, trust, partnership, limited liability company, association, joint venture, public corporation, government or political subdivision, agency or instrumentality or any other legal or commercial entity. KSA 12-2903(b) “State” means a state of the United States and the District of Columbia. KSA 56-1a101(l) “State” means a state, territory, or possession of the United States, the District of Columbia or the Commonwealth of Puerto Rico. KSA 56a-101(l) “State” means a state of the United States, the District of Columbia, the commonwealth of Puerto Rico, or any territory or insular possession subject to the jurisdiction of the United States. KSA 60-228a(b)(4) “State” means a state of the United States, the district of Columbia, Puerto Rico, the United States Virgin islands, a federally recognized Indian tribe or any territory or insular possession subject to the jurisdiction of the United States. KSA 23-3802(8) “State” means a state of the United States, the District of Columbia, Puerto Rico, the United States Virgin Islands, or any territory or insular possession subject to the jurisdiction of the United States. The term includes a federally recognized Indian tribe or nation. KSA 22-4207(c) “State” includes any state of the United States, the District of Columbia, the Commonwealth of Puerto Rico, and any territory of the United States. KSA 75-6102(a) “State” means the state of Kansas and any department or branch of state government, or any agency, authority, institution or other instrumentality thereof. According to our presenter, this is what the few that run the world have been using against the chattel for centuries. If you are not familiar with the term chattel, it is a noun that in a general use is a personal possession, and in law refers to an item of property other than real estate. Hugh encourages us to ask ourselves if the ploy is working. Are You a Legal Person? Who created that legal person you thought was you? What is in a name? You have probably seen names formatted as first, middle, last, as well as, surname, given name. From a legal standpoint, it doesn’t matter if the names are all uppercase, upper and lower, or all lowercase. Realistically in any legal documentation punctuation and grammar don’t even play a part. Why the Assumed Name Certificate? It puts your person in compliance. It gives your person legal standing meaning it can stand any action in court. The short answer is Minnesota. Why Minnesota? Minnesota is the only state that allows you to properly register the name. All other states want to make you the “name owner”, instead of “name holder”. Another example of Word of Art to trip you up. Remember, you didn’t create the name, the state did, so you don’t own it. It was created for you to use in commerce. That First Middle Last name is the “token” they gave you to operate in their commercial/legal game. Kind of like you being the car or the top hat while playing Monoploy. Are you that token? Only if you agree to be, but in reality, you are not. Unfortunately, the government’s not going to keep you from being in error, it is not their job. Perhaps more importantly, that’s your responsibility. This is a paper I originally authored to explain a remarkable discovery that I made back in February of 2014 . I may not be the first one to realize this as the reason we have been voluntarily submitting to the government without knowing it, but I am certainly taking this to the next level and proving that this is that holy grail everyone seems to be seeking. I am now in the process of proving this in a court action with my registered business entity named as the “Plaintiff” and I as the attorney. I use that term “attorney” but make everyone fully aware that I am not ‘licensed’ to practice law and never use the term “attorney at law” or “counselor at law” to describe what my capacity is as the legal representative for my registered business entity in court. What I am exposing is how we unknowingly provide the court with total discretion by not realizing who we are and WHAT we are. When someone claims to be that legal name appearing on a Certificate of Live Birth, they exchange the God-given rights they are born with for government privileges which is a HUGE mistake. The good news is that we can easily fix this and reverse that process allowing us to get back our inheritance. I hope this helps everyone look within themselves because we are doing all of this to ourselves and therefore have no one else to blame. It’s also something only WE can do to correct that mistake and it involves something that is so easy, anyone can do it! Please pay it forward and share this online and spread the information I am providing to you for free far and wide! A belief is the absence of knowledge so I have no beliefs; I either KNOW it, or I don’t. When we KNOW something, it ceases to be just a belief, correct? When we are able to apply that knowledge, that is when it becomes wisdom. I know this has completely changed the way I perceive the world and eliminated all fear in my life. Enjoy!